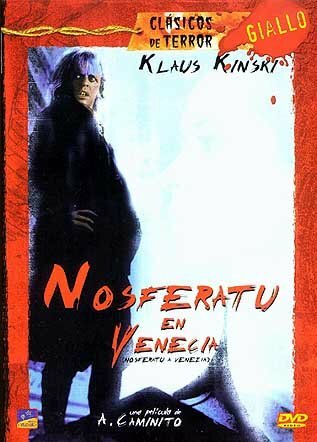 An un-scary vampire flick. How disappointing. It certainly has potential, and there is an eerie look about the film. But it builds up to nothing really. 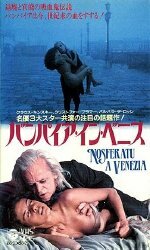 The climax fight scene between Christopher Plummer and Klaus Kinski is a laugh riot! 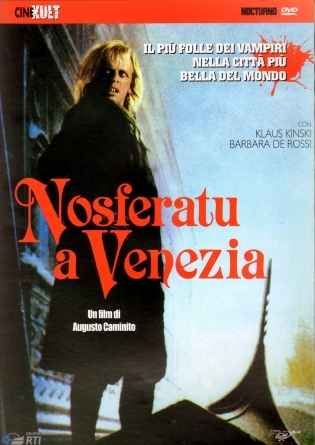 Luigi Ceccarelli does the soundtrack from this film, which is highly influenced by Vangelis' "Mask", and indeed covers some of the movements from Mask, which are recognized in the credits. "Movement 2" and "Movement 3" are heavily featured, and these cover versions sound quite good! 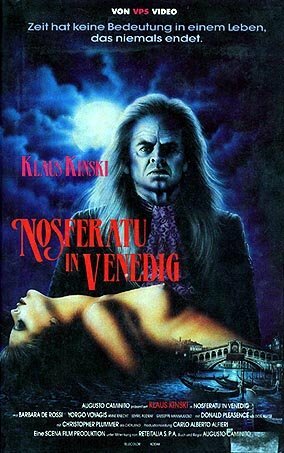 It is not too difficult to find dubs of this video from horror movie specialists, but if you want originals, you'll have to search hard and long. The Japanese issue is the one to have if you want it in the original English language version. DVD is a harder challenge. As of 2013, there isn't one that has the original English language.